This coming Saturday, 9th February, 2019 is going to be a day for Mega Information Unleashed which we have tagged, MeritChoice ProfitReloaded Summit. We will be talking about different business and income opportunities for you to make good money this year. The highlight of this Saturday’s training will be on CBN Loan. 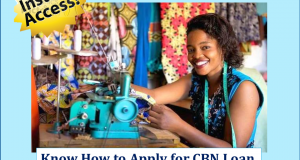 Do you know that CBN has mandated your bank to give you loan for your business? Do you know that no collateral is required for the loan? What you need to get enlisted for the loan is a simple recommendation from approved delegated body and then your loan can be disbursed within 90 days with a single digit interest? Join us this Saturday for that mega information. We will also tell you the type of businesses you can present for quick approval of your loan. But that is not only what we will be talking about. We shall also discuss about Grant. There is an existing grant that our past attendees are applying for now and it closes at the end of the month. You don’t want to miss the opportunity. Make sure you come around to be part of that too. Yeah, grant is free money and there is good amount of dollar for your grab with the recent grant we are promoting. You don’t want to miss the opportunity. Please, don’t let anybody deceive you. Applying for grant is always free, you don’t need to pay for it. The information is always readily available to everyone online. But sometimes, you need business plan or you are required to answer some technical questions, then, you may need an expert or professional to help you in order to increase your chance. 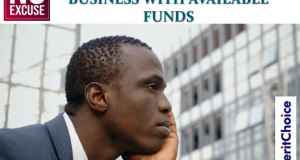 That is why we advice you to just hold about N10,000.00 to enjoy such service as we have our experts helping those that need such assistance. Yeah, a lot is happening with our #90DaysToMillion Plan. This is a plan you want to follow. This is the type of result you want to be getting. A lot of people have been asking us about the program. 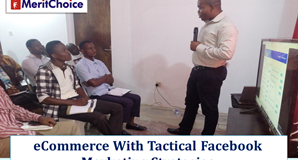 Then, we will talk about this system that is designed to make you good money consistently. Don’t miss it. We shall be assessing our health too. Prof. (Dr.) Umobong will be in the house to do medical examination on those that are interested. Dr. Umobong is an integrative medicine consultant. An orthodox medical doctor with training in natural medicine using herbal to cure a lot of health challenges. With him, you will get some zero or low cost consultation that will help you to know you health status. Dr. Umobong has solutions for fibroid without operation, herbal tea that can reduce sickler’s crisis, luxury tea to increase your blood and make you feel better always. Knowledge is real power. You will get a lot about your heath this Saturday. We are giving you enough facts this Saturday but you should also prepare to get some materials and helpful resources as we will make them available. Don’t forget, the seminar is free and you have nothing to lose. Just be punctual. I will be exposing to you the latest strategy we just discovered on how you can start receiving payment into your Nigeria PayPal account. In fact, you can now withdraw the PayPal money with ATM card right here in Nigeria. I know a lot of you will be astounded about that information. This Saturday, it is going tobe Mega Information Unleashed at the MeritChoice ProfitReloaded Summit. Of course, I will be giving you free ride to get back home after the seminar. At our last seminar, someone said he lost his transport fare and didn’t know how to go back home. But we arranged excutive cab to take him from Okota to Obalende and it was absolutely free. That is the knowledge we dish out at our training. You are not paying a dime to ride in AC fitted car. It sounds strange and impossible to many but many are experiencing it and they are so much surprised. Just come with your ATM card (Mastercard or VISA). Ensure you have like N2,000.00 in the card. No money will be removed from your card. It is just to activate the app that you will download with your android phone. I will also tell you how to keep getting the free ride FOREVER, trust me. Yes, I am getting that now. So, see you on Saturday, 9th February, 2019. NOTE: Kindly visit my Facebook timeline, https://facebook.com/gbemmy20 or my page, https://facebook.com/gbemmylive. I am presently dropping some important information there. I have released some video and pictures of our beekeeping harvest. I will be giving more updates on the page as per this Saturday’s MeritChoice ProfitReloaded Summit. Keep in touch. Previous: Grant and Loan Applications In Progress – Are You Interested? ProfitReloaded.com is setup to help you make profit in whatever you are doing. It is our passion to bring you profitable information that can help your career, business, family. lifestyle and other aspects of your life.